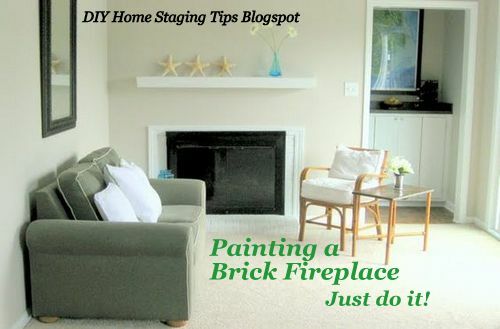 DIY Home Staging Tips: Should I Paint My Brick Fireplace? The living room fireplace after I painted and staged. I have a neighbor whose husband is a mason, so when I told her that I had painted the brick fireplace in my own home, she gasped, "Oh, my husband would never let me do that!" I don't get it. It's brick, not a sacred relic. To me, a brick surface of almost any kind (maybe not the old brick of a snazzy loft's walls) belongs outside, so an indoor fireplace is just begging to get covered with whatever color I like that works for the rest of the room. In a staged home, that color is probably going to be white. I know there are some people who will say, "But what about the next owner? They'll never get the paint off the brick." My comment to these people is ... that I don't care. Keeping something you don't love for the person next in line is like laying plastic mats on your car's floor to keep it clean for the next owner. Besides, plenty of people love the look of painted brick. It's clean, it's contemporary, it's cottagey or sophisticated depending on the decor. To say bye-bye to the red brick of our condo fireplace, I masked off the carpet, then primed it with a stain-blocker. Then I brushed on two coats of our pure white semi-gloss trim paint. Before I painted the heath and surround, our room's focal point was just a dark and brassy hole at one end of the room. My, that cord to the fake fire is attractive, eh? Mr. Lucky had already masked off around the metal fireplace screen. He used heat-resistant fireplace spray paint to make it black. 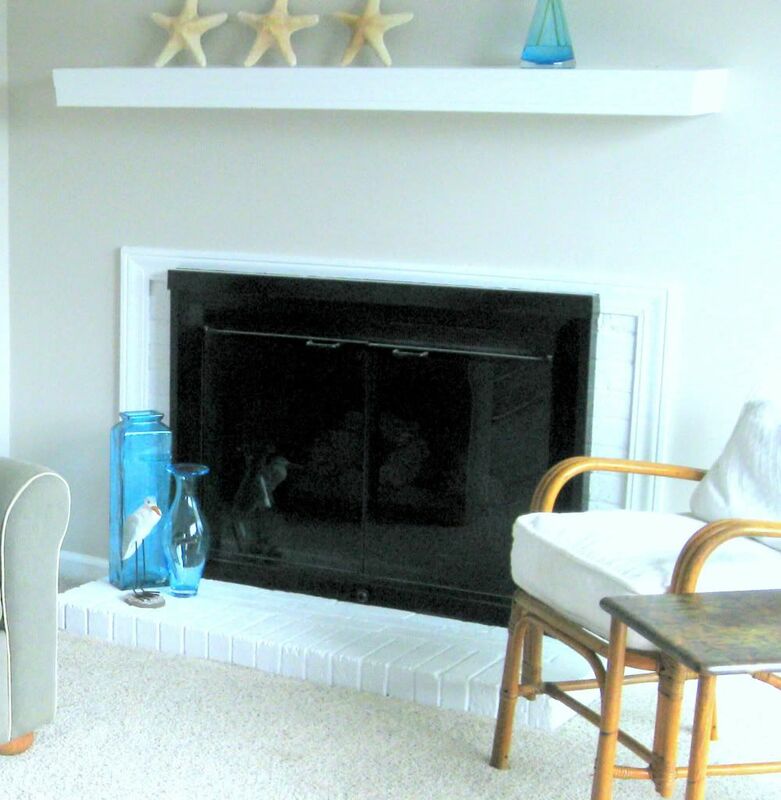 This BHG brick fireplace got a fresh look with some white paint. The black hearth risers give it some personality. with a white fireplace, rather than a red brick one. 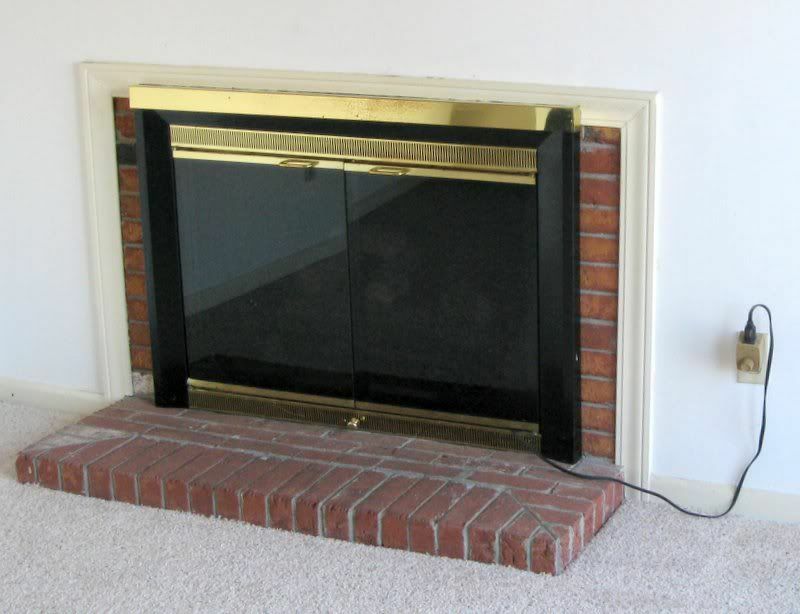 I love the look of the "new" fireplace in this condo we're flipping. I have a feeling the new owner will not say, "Why did someone ruin the precious red brick?" Buyers notice eyesores more than they do special features. 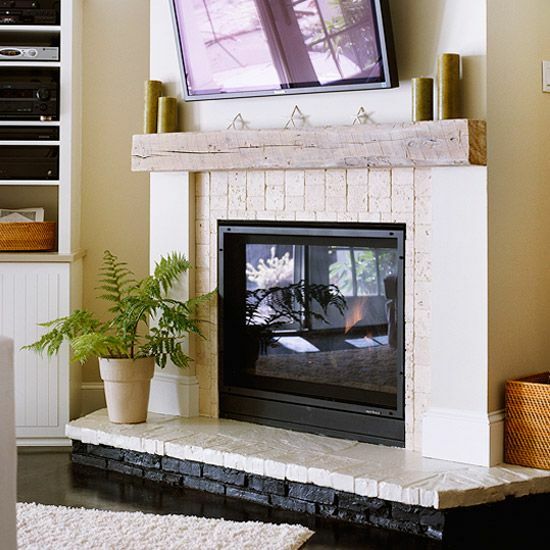 Don't be afraid to freshen a brick fireplace with paint. My eBook, DIY Home Staging Tips to Sell Your Home Fast and For Top Dollar, which you can download now, gives many other ways to revitalize your home on the market. Make your house the one house hunters remember and want! I show you how.